Clothing/Jewelry Description A long-sleeved striped shirt, blue jeans and brown or black work boots. He was carrying, in his pocket, a black digital watch face. Distinguishing Characteristics Caucasian male. Brown hair, blue eyes. Monroe goes by his first and middle initials, C.W. He has previously fractured his left foot, and one of his upper front teeth is chipped. Monroe has a scar on his right knee. Monroe was last heard from at 9:00 p.m. on May 7, 2005. Early the next morning, his residence caught fire. Monroe was living in an apartment inside a barn on twenty acres of land in the 20200 block of Edgewood Farm in Loudoun County, Virginia at the time. His residence was burned to the ground. Investigators found remains in the fire that were initially thought to be Monroe's, but in October 2005 it was announced that the remains were not human and were, in fact, from Monroe's three dogs. He has not been seen or heard from since the fire. Monroe led a simple lifestyle and kept to himself prior to his disappearance. He did not have a driver's license, a bank account, or any credit cards. He kept all his money at his home, which was on land owned by his family. Authorities do not believe Monroe's body could have been completely consumed by the fire, and the cause of the blaze has not been determined. 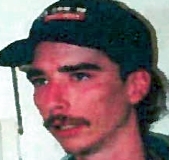 Monroe's relatives' opinions are divided as to whether he burned in the fire or otherwise; some of them feel he met with foul play, possibly a robbery. They stated it would be uncharacteristic of him to abandon his dogs or set the house on fire with them inside; he cherished the animals. Updated 3 times since October 12, 2004. Last updated December 14, 2017; picture added.